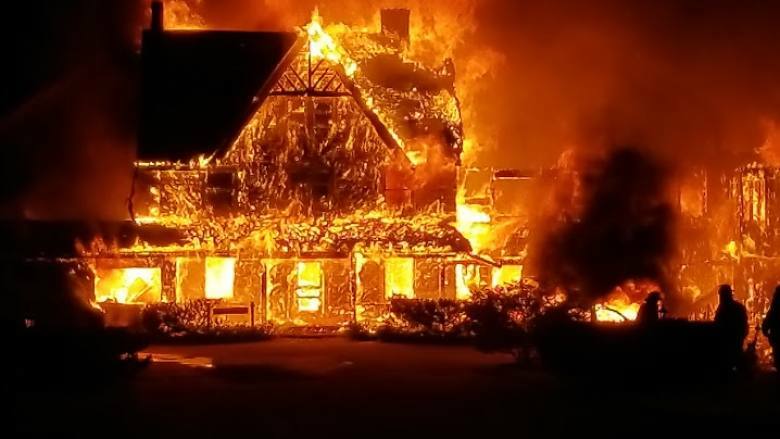 An early morning fire has destroyed the main building of the Inverary Resort in Baddeck, N.S., which contained a dining room, kitchen, reception area and some rooms. The cabins at the resort and other guest accommodations appear to have been spared. Tina Emi witnessed the fire and says it appears to have started around 3 a.m., Thursday. When she arrived at the scene. the main building was completely covered in flames.